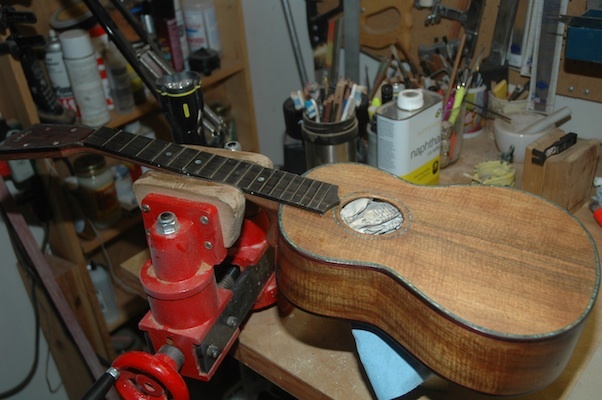 Tomorrow this uke will be making music. 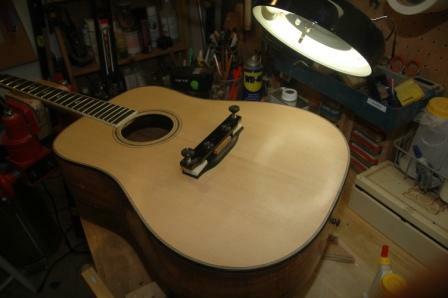 The finish is all knocked down and polished, and today I mounted the bridge. 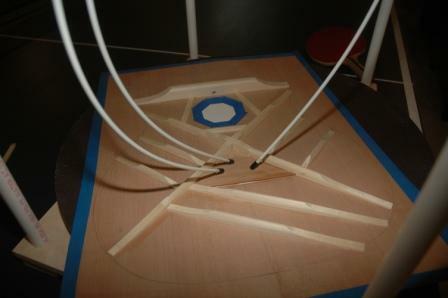 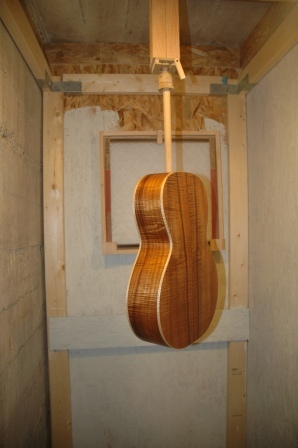 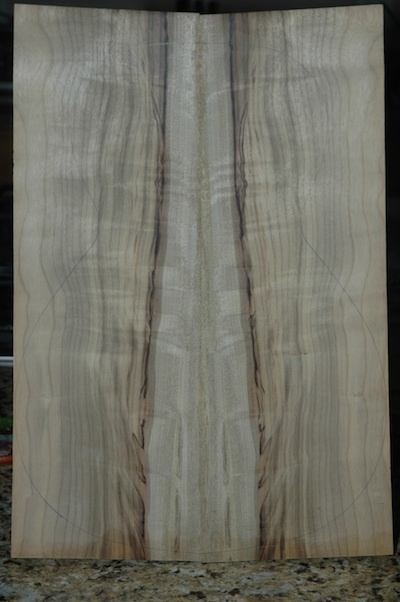 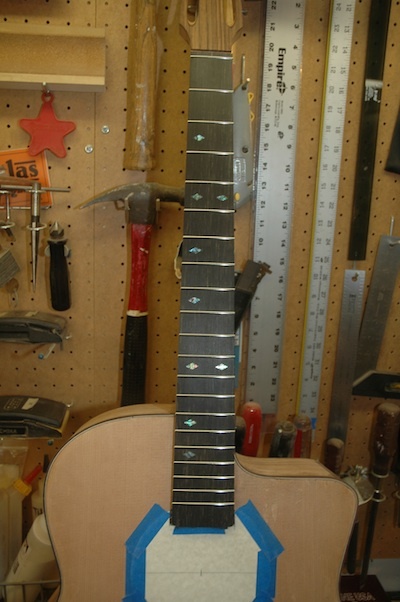 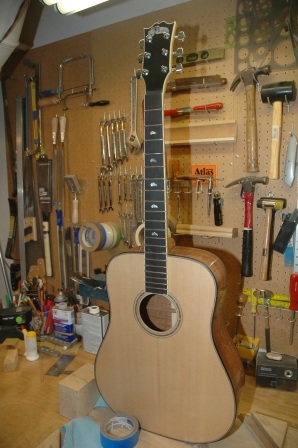 After setting overnight it will be a quick transition to get the strings installed. 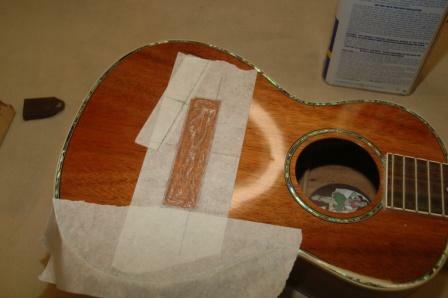 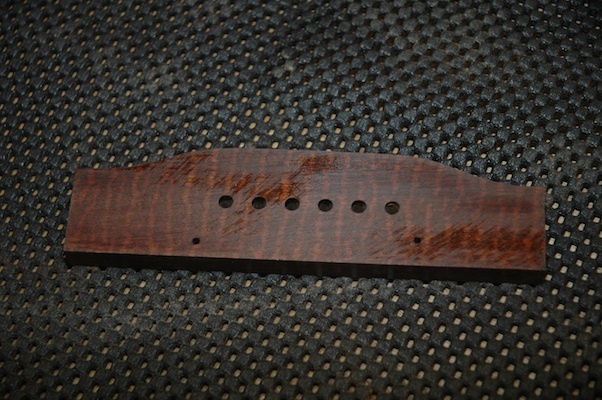 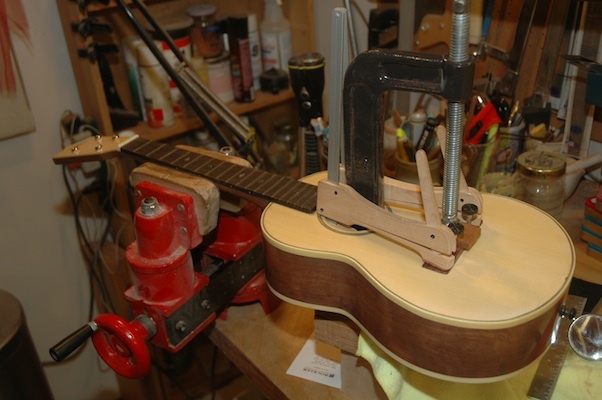 The Fender Uke, which has been getting some headstock lacquer, came without a bridge. 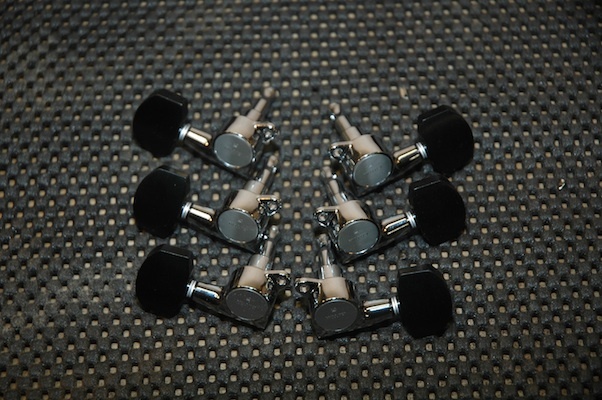 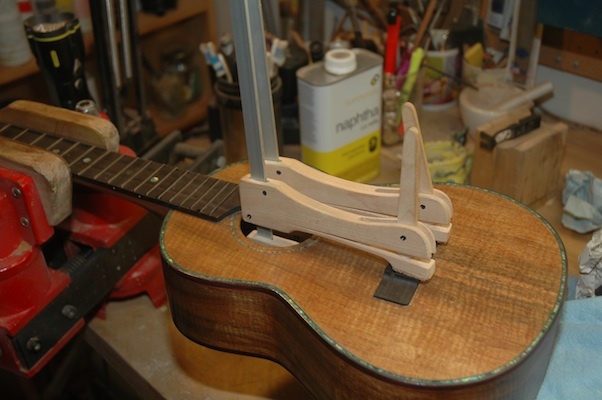 I have a couple of preshaped uke bridges which I’ve drilled out to take bridge pins (very “not uke”). 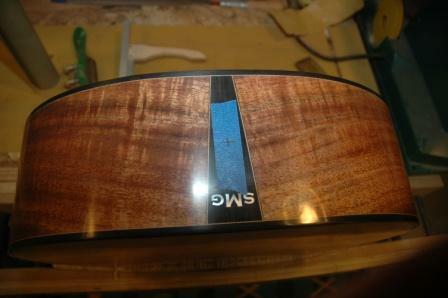 I stripped away the lacquer with Stryp-Eze after positioning the bridge with masking tape. 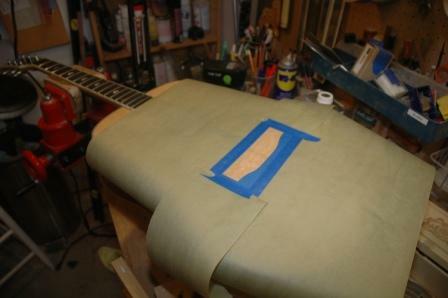 Scraping and chiseling left a glue-able surface. 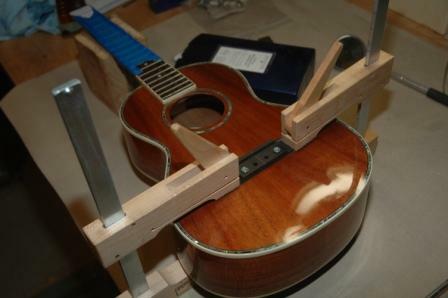 Since this bridge will use bridge pins, I drilled two screw holes through each outside pin hole, glued up and screwed down. 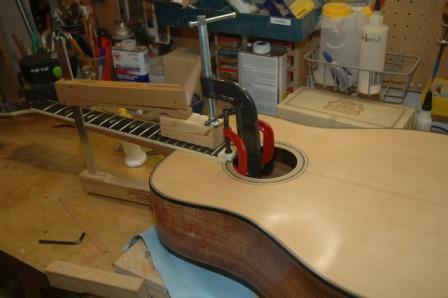 These screws are for clamping only, and will be removed after the glue dries.